Joanne O'Neill is a senior designer at Harper, a division of HarperCollins Publishers. 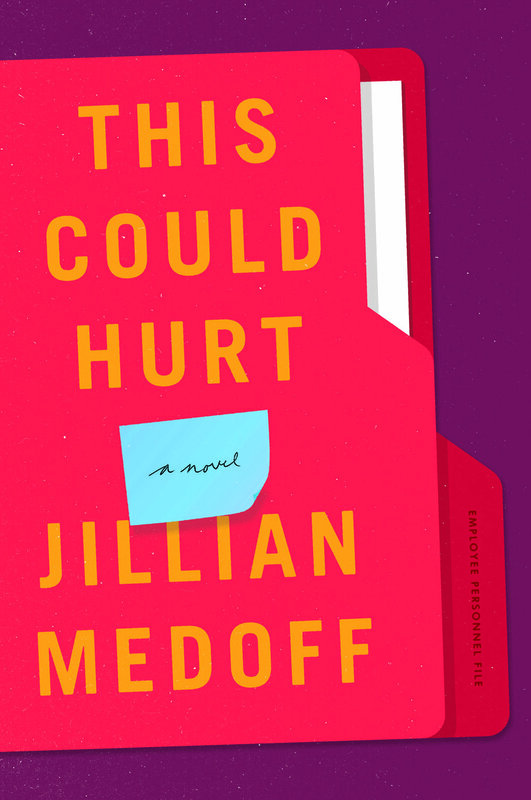 Here she takes us through designing the cover for This Could Hurt, a new novel by Jillian Medoff. 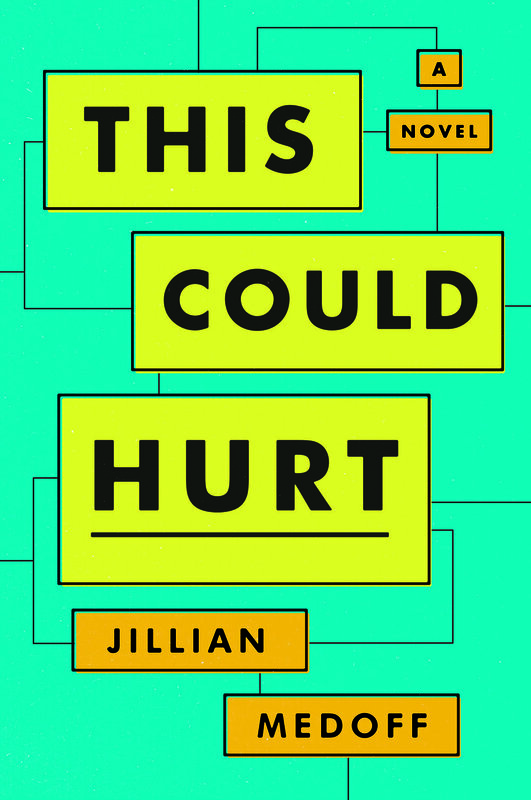 Set in the aftermath of the 2008 financial collapse, This Could Hurt is a witty, heartfelt novel that illuminates the pivotal role of work in our lives. The author captures the emotional complexities of five HR colleagues trying to balance ambition, hope, and fear as their small company is buffeted by economic forces that threaten to upend them. When first assigned this cover, I was a little stumped. The words “Human Resources” don’t exactly conjure creativity (no offence meant to any HR employees who may be reading), but upon finishing this novel I was reminded of how truly unique and important the relationships with our work colleagues can be. I wanted to highlight the connections between the characters in the book, while also playing up the humor of the banality of a typical office setting. It seemed clichéd to use stock photography of cubicles and coffee cups, so I began by sketching what would become some illustrative directions. Throughout the book, there are several Powerpoint-like employee organisation charts. I wanted to play off of that, and so created a colourful, more dynamic chart that I thought might work as a cover. I also tried a looser version of the same concept with silhouettes to signify the intertwining of the characters lives. Additionally, I presented a design that shows an employee file. When we think about HR, we often think of the elusive “personnel file”, and about what might be in it. I thought there might be something to the file, but I wasn’t particularly inspired by my execution of it. I started thinking about the title of the book. “This could hurt...” is spoken by a character who is about to fire one of her employees, and so I looked into the sort of document that a Human Resources department might use under these circumstances. I thought this could be a cheeky way of playing up the corporate setting. I did some image research and found examples of ‘termination’ forms. I gathered a few to pull from, then created my own. I printed out my faux-form and tore the paper before scanning it to give it some dimension. It originally had a checklist of things that a manager would have to address when terminating an employee, but the design was far too busy. I decided to have the title and author name be the ‘checklist’ instead. The bright yellow was washing everything out a bit, so I was asked to try a different colour. I tried a rusty orange-red, and the editorial team was sold. I was also asked to move the author’s name to the bottom so it could appear larger, but otherwise the design is unchanged. For the finished jacket, we embossed the shape of the form and used uncoated paper to make it feel as real as possible. We also debossed all the the words and details to add dimension.